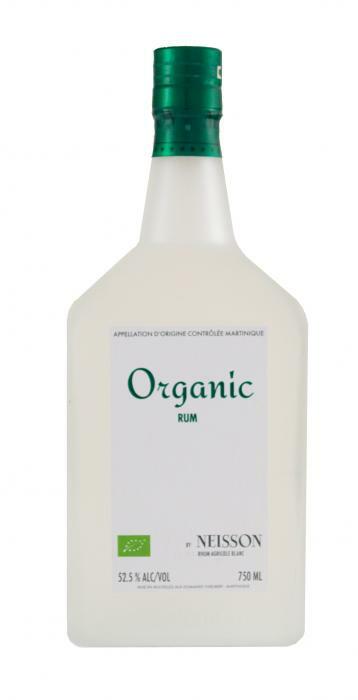 The first certified Organic AOC rhum agricole from Martinique. Organic by Neisson is bottled at 52.5% ABV. Only part of the rhum production at Neisson is certified organic and is the result of years of preparation, testing and tasting. Everything from the soil, sugar cane, yeast and final product are certified organic by Ecocert . Three varieties of sugar cane are grown for this organic product, B64 ( red cane), R583 ( Geyko cane) and B59 ( Reed cane). B64 and B59 are hybrids from Barbados while R583 is from Reunion.